e-shot is an established UK email marketing automation platform, delivering emails for over 10 years. A UK team of experts also offers full-service marketing and help their clients to grow their business and engage with their targets. Based in Epsom at the heart of Surrey with London based hosting facility. The company invests in building a reliable and innovative platform. e-shot offers a mix of consultancy and functionality and help thousands of users to engage with their clients and prospects. Create a journey to generate leads and enhance client retention. Our consultants are experts in marketing automation who are passionate about their clients’ success. Are you looking for an e-shot by forfront alternative for your email marketing? We listed some e-shot by forfront alternatives. 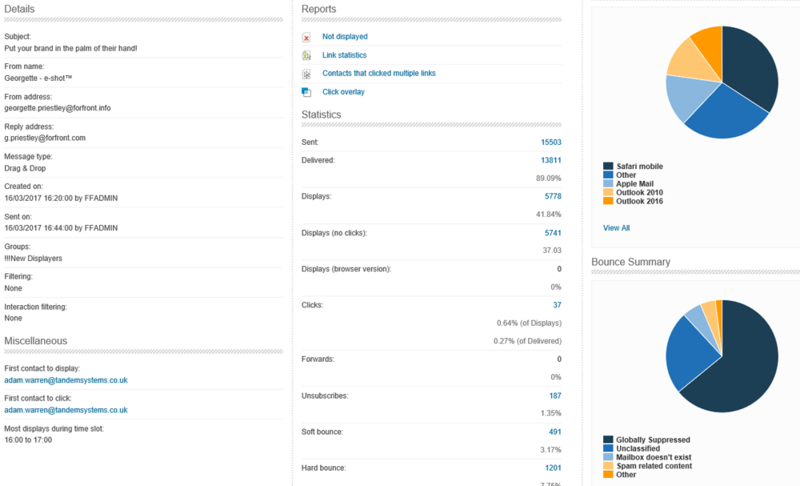 Analysis of website and landing page interaction. 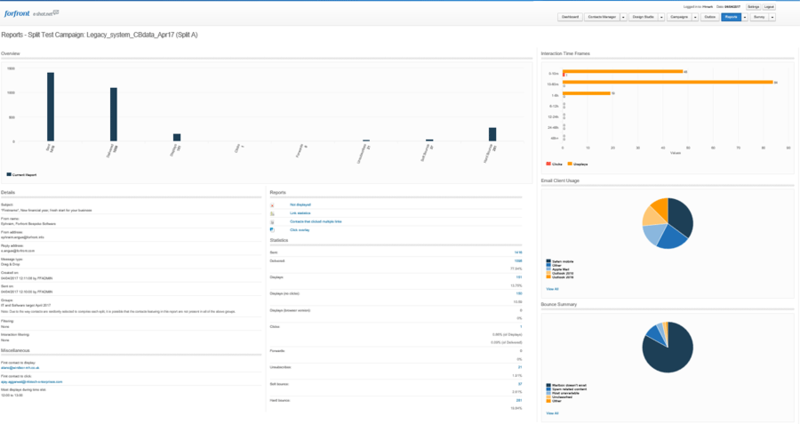 Full view of aggregate email campaign statistics and e-shot Forensics analysis built in. Drag & Drop editor to easily create mobile responsive emails with templates. Users are guided through the email creation process one step at a time. Test multiple aspects of your campaign such as subject lines, content and more. Then choose the winning campaign. Explore the best times to send your campaigns. Create polls and survey questionnaires. Choose an existing template to create landing pages or ask e-shot to design one from scratch. 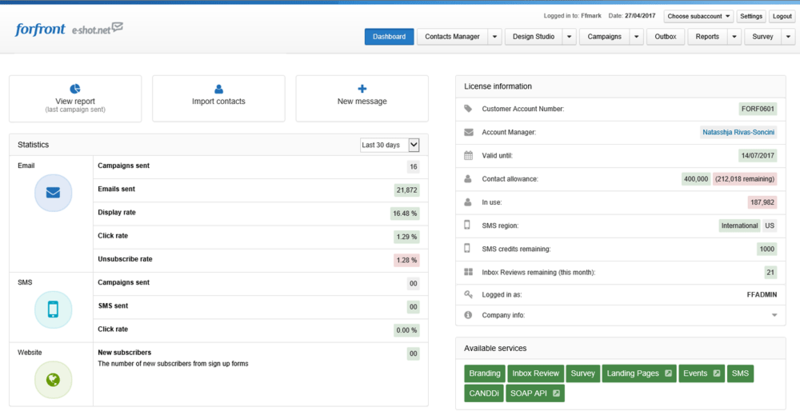 Fully integrated SMS service visible from the e-shot dashboard, can deliver granular reporting individual contact's email and SMS engagement. e-shot offers an automation workflow designer to create a full cycle journey for subscribers. Integrations are available for SalesForce, Microsoft Dynamics and OpenTable. 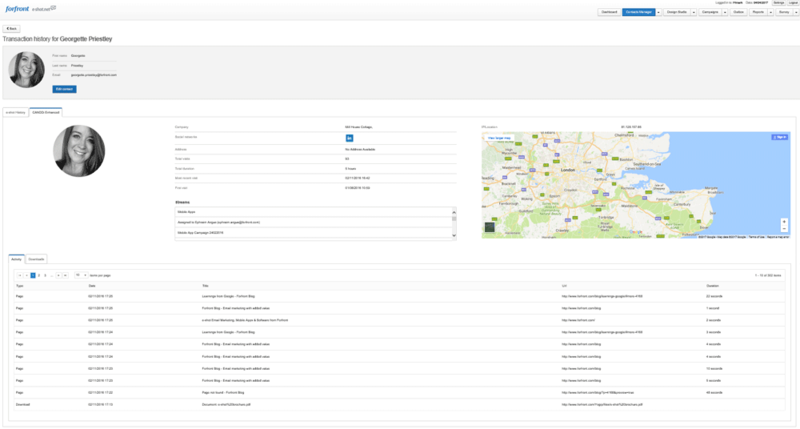 As well as API / Custom integrations. Single and double opt in forms with full record audits trail. The preference center is tuned to GDPR compliance and registration of interests for better engagement. e-shot was originally created for yahoo for physicians, then developed further for National Institute for Clinical Excellence (NICE) as a secure alternative way to transfer medical guidelines to multiple recipients in a cost-effective and timely manner replacing their very expensive postal routine. More than 10 years on and Wilmington Healthcare, one of Forfront’s clients, continue to successfully use e-shot™ to communicate with medical professionals along with other NHS and local authority clients. Over the years e-shot has solidified its place in the market as international competitors have come on the scene. Dedicated to its British heritage and focusing on providing the best possible service for UK customers.